Pinnick was among the dignitaries present for the glamorous award in London alongside some other NFF members. 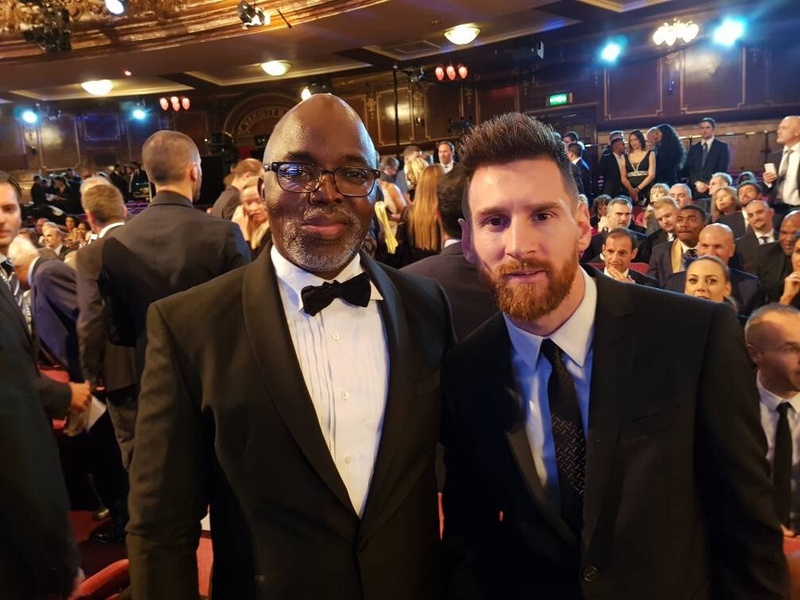 The Nigeria Football Federation President, Amaju Pinnick was on Monday night pictured alongside Barcelona star, Lionel Messi at the Best FIFA Awards in London. Messi unfortunately was beaten to the Best Men’s Player award by his fierce rival Cristiano Ronaldo for the second consecutive year. The only consolation on the night for the Argentine was his expected inclusion in the FIFA 11. It is expected that Messi will be leading the Argentina team when they face the Super Eagles in a high profile friendly in Russia next month. The Barcelona star has already been listed alongside 21 other players for the November 14 friendly.